Dustin Poirier wanted to fight Nate Diaz at UFC 230, but injuries and Nate Diaz seemed to have stood in the way of that happening on November 3rd. Poirier would withdraw from the UFC 230 co-main event last week due to a hip injury, but Diaz would continuously attempt to change the terms of the fight. 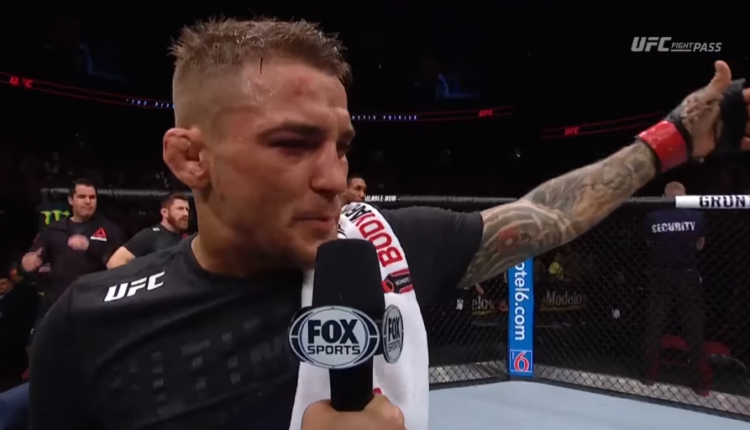 “They wanted to switch it to five rounds, man, it was just so messed up dude,” Poirier said. “Nate was being hard to deal with, I believe. Every weight class they offered it at 155 and he wanted 160 and I agreed to that. He kind of negotiated himself out of a main-event spot. They offered us the main event, I accepted, Nate over-negotiated, they lost the main event, it was just back-to-back days of him trying to have his way, honestly. Poirier wanted to prove himself against Diaz in a major fight, but lamented over the hassle it inevitably became.